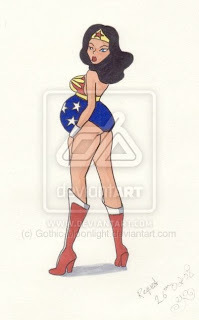 I’m NOT Superwoman or Wonderwoman? Danm!!! I’m NOT superwoman nor Wonderwoman? Sheeesh!! Here I thought walking 2.25 miles in the blowing, wet snow, then coming home and preparing dinner for my family classified me as such! Nope!!! My hips and my lower back are crying out “Girl! You ain’t no superwoman! You a tired-azz 35 year-old going through a second pregnancy with a ball of spitfire in your belly! So you betta recognize!” Wait! Was that my subconscious? Cause I sure as heck could hear the nagging voice of Madea in my head saying this! I must be going crazy! Why am I trying so hard to do things that can jeopardize the safe delivery of my baby AND my health? Well, maybe it’s ’cause I live in China where e’rybody, their grandmama and their great-great granddaddy aunty telling me I’m suppose to be weak and fragile…so I wanna prove them wrong! That’s a question I will have to ponder as I go through another 19 weeks of belly boppin’, duck-waddlin’, and essentially rollin’ in the deep end of “pregnancy in China”, where EVERYONE wants to rub yo belly then give you their opinion! So a couple of weeks ago I wrote a blog on how my family and I were thinking…ok preparing to migrate back to the US. It has been a time of back and forth for us. However, this week, in light of the tragedy in Connecticut, I have come to realize that perhaps going back and teaching in the US Public School System and maybe even the private schools may not be such a great idea. My son is freaked out and saddened at what happened. My husband, who has never been to the US called me at work tears clogging his voice as he expressed the sorrow he felt for those families who lost their babies. It hit him a lot harder because he is expecting his first child. My heart goes out to the families who have lost. May God grant you a peace that surpasses all understanding. May He allow you to see Him in everything whether good or bad. May your faith never waiver or fail.